Roberto Orci, the controversial writer and producer most famously associated with the Transformers and Star Trek reboots (alongside former partner Alex Kurtzman) has joined the production of Lionsgate's new Power Rangers movie. Orci will reportedly help to devise the film's story, along with Fringe screenwriters Ashley Miller and Zack Stentz, best known for an early draft of X-Men: First Class and Agent Cody Banks. 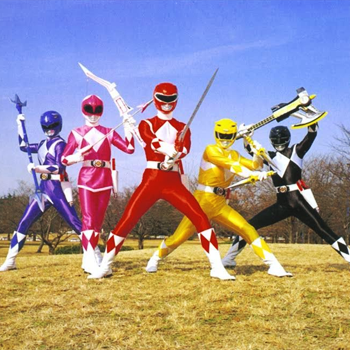 Lionsgate has teamed on the production with Saban Brands, the rights-holding company of Rangers mastermind Haim Saban, who created the series (by combining footage from Japanese action shows with new American footage) back in the 1990s. The original Mighty Morphin Power Rangers involved a group of "teenagers with attitude" who were drafted by an ancient alien being to become a superhero team who utilized martial-arts, futuristic weaponry and giant robot dinosaurs to combat an alien invasion by sorceress Rita Repulsa. The series has been running for 20 seasons since with multiple new casts and scenarios forming a loose continuity that includes time travel and outer-space adventures. It is not known whether the new film will be based on any of the existing series or be an entirely new iteration.